Travelling south of Dijon, Gevrey Chambertin just 15 kilometers away is the entrance to the famed vineyards of Burgundy’s Côte d’Or. 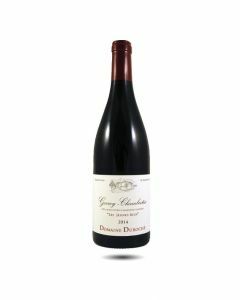 Gevrey (in Burgundy the villages often append the name of their top vineyards to their name), counts over 60 village “lieu dits” (place names) 26 Premier Cru climats and nine Grand Crus, all facing east or southeast. The vineyard totals more than 400 hectares. At the entrance to the famous Lavaux hillside is the château of Gevrey Chambertin, once a property of the monks of Cluny and today owned by Chinese. Only red wines made from the Pinot Noir grape are made here. On the upper slopes at between 280 and 380 metres are the Premier Cru vineyards composed of shallow, brown limestone soils. Lying below them are the village wines grown on brown limestone and marl soils. These stony mixtures confer elegance and delicacy on the wine while the clayey marls, which contain rich deposits of fossil shellfish, add body and firmness. The wines of Gevrey are amongst the more powerful and rich of Burgundy. Known more for their masculine character, these are wines to accompany a steak or a hearty stew. They have fruity aromas when young that turn to leather, cedar, game and licorice with age. They have firm structures, good, full-bodied tannins and long aftertastes. Pleasant when drunk young “on the fruit”, they are nevertheless first and foremost wines for aging, often for long periods. Drink five years after the vintage for another 15 years. One of our favourite Duroché wines which is deserving of a premier cru status. It has beauful fresh, fruity aromas with a touch of menthol. On the palate there is beautiful balance and concentration, exuberant fruit, lovely concentration and silky, persistant tannins which carry through to the finish. Impressive for a village wine! It will be hard not to drink this wine while it is young but it can also be cellared for the next ten years.